TruCadence is a software that allows users to monitor, organize, and make sales calls. It also has sales engagement features, such as targeted email and call sequencing, AI-based lead scoring, and lead management. Ready to try TruCadence? Request for a demo. As of the date this article was written (10/24/18), there are no user reviews of TruCadence online. If you are a past or current TruCadence customer, leave a review to help other business owners who are deciding whether or not to use the software. TruCadence pricing is not readily available on its website. Pricing for similar providers has monthly fees that cost around $20 to $100 per user. Most similar apps offer customized pricing that depends on the included functionalities, level of support, and more. Ready to try out TruCadence? Request for a demo. Does TruCadence offer a free trial? No. There is no mention of a free trial on their website, but Trucadence’s demo is free of charge. Interested users may request for their free demo on their website. How can users personalize each prospect interaction with TruCadence? 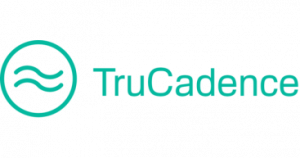 TruCadence allows users to create voicemail and email templates for their sales cycle milestones. Apart from that, it enables them to automate cadence and sequence phone calls, emails, and social messages that are uniquely made for every lead. Not sure if TruCadence is the right fit for you? Read our reviews of all top call tracking software providers or check out one of these three TruCadence competitors.